Rolling patterns are one of our absolute favorite exercises to add into a corrective strategy or warm up. These patterns do a great job of getting your inner core to fire quickly to promote stability…and with good stability comes improved performance. I had a great question about rolling from one of our interns, and after thinking about it…I knew I had a resource for him to help give him answers. I thought this was on our blog, but after digging through my resources, I realized this little gem was filmed for the Elite Training Mentorship. For a couple years, we did monthly in-services for ETM, and this was one of them. 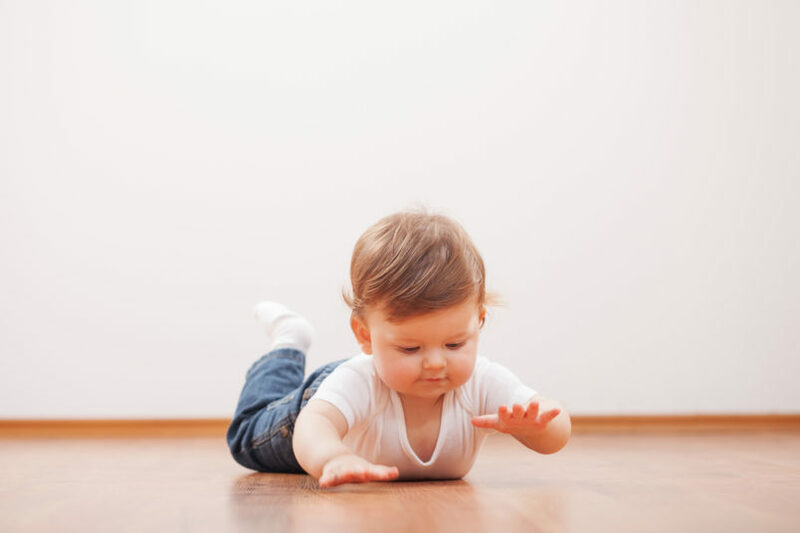 As we begin losing the ability to roll properly, you’ll notice the primer movers tend to move first so it’s important to always check the timing of the soft core muscles. The push up is a perfect example; if your client has a little hitch on the way up, it’s a good idea to check out his or her rolling patterns. Rolling patterns also serve as a great assessment tool for this reason too. You can quickly check for other compensations by placing your feet underneath theirs as they roll. This allows you to see if they’re digging into the ground for stability. Kick a Leg: This one’s quick and easy. We can tap the heel to of the long leg to help engage the core as the client rolls. Resistance Band Assistance: Place a band around the down leg and shoulder. Start with a 1-inch band to give your client assistance and ween him/her off from there. This one is great for a group setting because a client can do it on his own. Cook Band Assisted: Add a cook band to the long leg side to help increase stability. This is one of my favorites but is probably a little better in a personal training since you’ll have to hold the band at about a 45° angle. Add Props: Use a yoga mat, Airex pad, etc under one side of the body to shorten the range of motion your client has to roll. Eventually you can begin weaning him off by lowering the elevation. Targets: Using small targets like your hand, a ball, or a nearby object can help influence reaching and the separation we’re looking for. This is a great external cue and gives them a visual object to chase after. We use rolling patterns daily in our gym to improve push-ups and rotary stability but to also prevent future injuries. I know that’s a lot of info to digest so be sure to check out the video and feel free to save it for later. If you’d like more in-services like this one, be sure to check out the Elite Training Mentorship. They offer a 30 Day Trial for less than 5 bucks, so it’s totally worth checking out. This is one of the best training resources out there. Not only do we have a ton of in-services, case studies, and other resources, you also have years of quality content from people like Eric Cressey and Mike Robertson. To learn more about the Elite Training Mentorship, be sure to check it out here. In Part 1, Nancy, a PRI physical therapist in our network, covers what PRI is and how she uses it to help reposition her patients. Repositioning is an essential part of a well-rounded program. In all of our programs, we’re trying to get our clients as close to neutral as possible before we train them. Watch Part 1 first, and then move on to Part 2 next. In Part 2, Nancy shows us a couple exercises that do a good job at repositioning. If you haven’t tried these out, I highly recommend giving these exercises a shot. Watch the hands-on portion of our most recent in-service done for our trainers below. Over the past decade, outside of the Functional Movement Systems (FMS, SFMA, Y-Balance), the Postural Restoration Institute, or PRI for short, has been another system or methodology we’ve adopted into our training programs. We don’t go all crazy with PRI specific correctives, unless specifically told to do so by our trusted resource, Nancy Hammond. However, we do look into posture and how people are positioned, and PRI helped us understand how to look at people and gave us a better understanding of what anatomy and position should look like to be in neutral. I’ll be breaking out how we use this info in our gym and in our training in some upcoming articles, but let’s start with the in-service. As a PRI certified physical therapist, Nancy Hammond can help you address your pain, perform better and/or prevent injury. After graduating from St Louis University as a physical therapist over 20 years ago, she has helped many patients achieve their goals. She sees PRI as the “missing tool in her toolbox”. Nancy utilizes PRI to discover “why” clients’ pain exists and address its root cause. She has a passionate interest in the science of postural restoration. As an avid marathon runner, she has personally benefitted and experienced firsthand how system balance improves performance. In addition, PRI has enabled her to empower clients to take control of their health, so they understand how movement patterns can help prevent injury. Finally, as a mom of four active boys, PRI helps her appreciate that balance means more than managing busy lives. It also means understanding that every change (e.g., gait, braces, glasses, physical environment, puberty) impacts the harmony of their growing bodies.